Abstract Storage takes the five-star approach to boat & RV storage, offering spa-style pampering for your boat and RV that includes Washing and Detailing Service, Trickle Cell Charging, Tire Pressure Check, and Valet Boat & RV Storage. And that’s just for your vehicle storage. Drivers and passengers alike will find complimentary fresh coffee, free bottled water and ice once your traveling day is done. All of our spaces are available for long or short term leases. Along with the finest amenities comes the assurance of secure storage accommodations and reliable service for long or short term storage. The well-lighted buildings and aisles feature the enhanced security of coded electronic entry, recorded video surveillance, and a manager who lives on property – one who can even be reached after hours if the need ever arises. We are perfect for commercial and residential storage options. You have access to your boat and vehicle storage 24/7 and we offer online as well as Auto Pay options so your boat or RV keeps YOUR schedule. We’re here to make sure you and your RV can be off and running whenever you’re ready to go. Oh, and we match rates. There is, however, no match for our service. Stop by and see! Why is Short-term Storage Convenient? It allows you to not be fixed into a contract and just rent the storage space for however long you want to with no commitments. A lot of people will find this useful if they are just moving out of their residence and need a place for the stuff to lay in the transition. Some people might need short-term options for family events, work events, storing seasonal items, and so on. Whatever it is, this option gives you the freedom to store when you want without the feeling of being tied down. 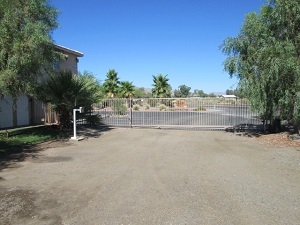 For further details on our parking available in Mohave Valley, AZ 86440, visit the Spaces Available page.